Cook fluffy, thick waffles for your hungry customers with the Carnival King WBS180 brussels style double belgian waffle maker. This waffle maker boasts intuitive dial controls and features 1500W of heating power to make quick work of your signature waffles and keep up with your busiest hours. Plus, the cool-touch handles are an added safety feature that help prevent burns. This waffle maker is designed with aluminum, non-stick coating grids that allow you to create 4" x 6" waffles while providing a clean release that allows guests to enjoy every last bite. 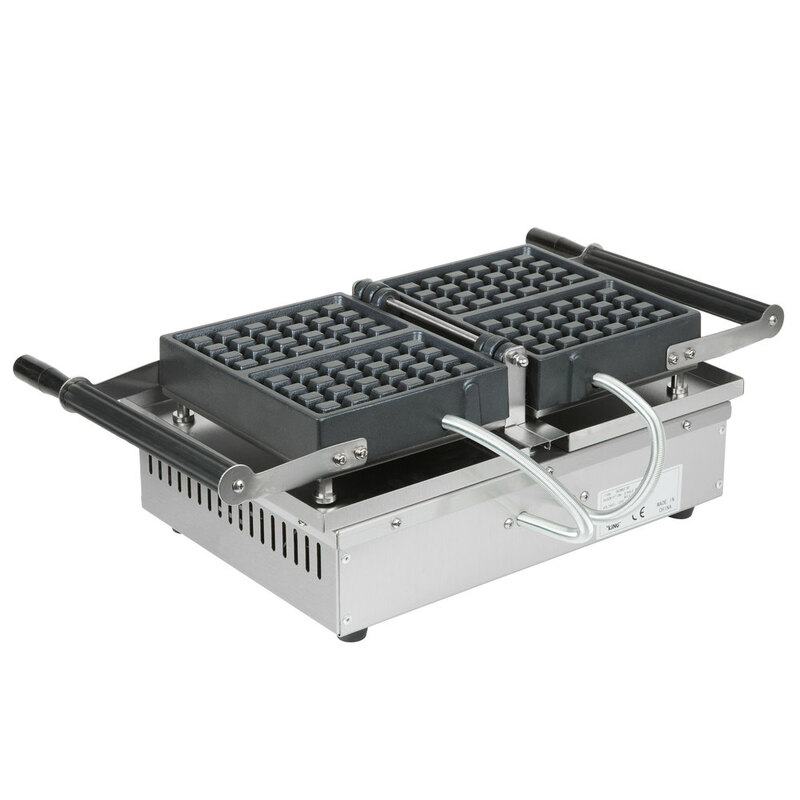 It even opens and rotates 180 degrees to ensure that batter fills the plates evenly for optimal cooking. The thermostatic control allows you to adjust temperatures up to 570 degrees Fahrenheit for full quality control.